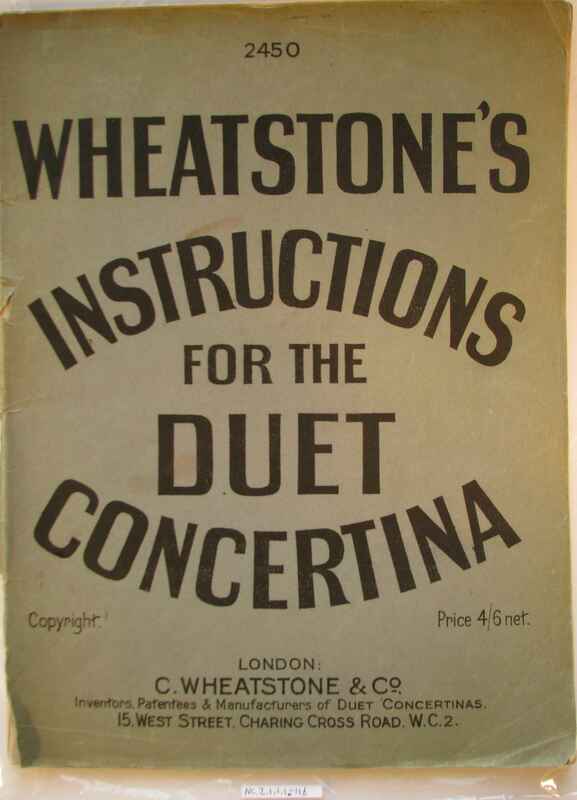 Full Description: Minting Tutor Books: The Wheatstone Rutterford Instructions for the Duet Concertina. 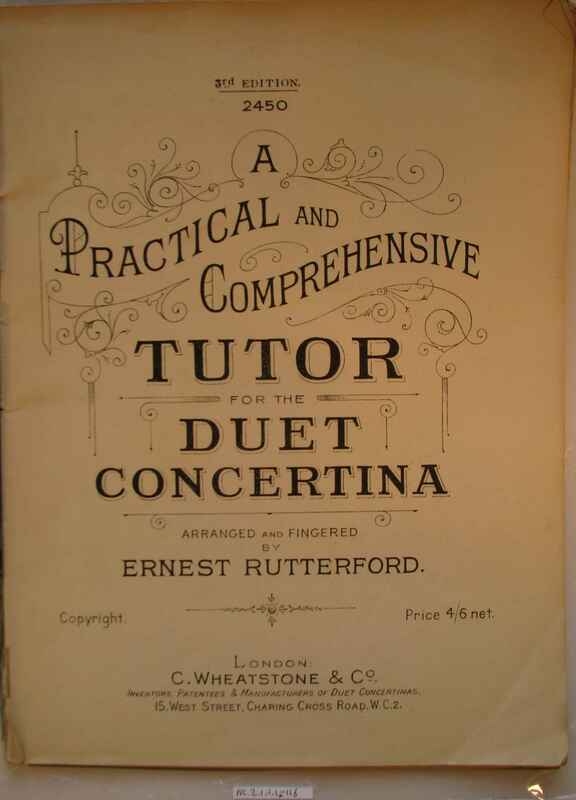 This soft-bound Tutor is a West Street -published edition of the Ernest Rutterford"A Practical and Comprehensive Tutor for the Duet Concertina, arranged and fingered by Ernest Rutterford" Wheatstone Tutor. It is Wheatstone No 2450, 3rd Edition and priced 4/6 net. Harry Minting played with Ernest Rutterford in his "Shakespeare-Rutterford Rhythmonic Combination" from 1924 (when aged 18 years), and had taken concertina lessons from Rutterford's father Charles from 1918 to 1940 - There is an early image of Chas Rutterford at NC.2.1.1.1-062b and four of Chas Rutterford's Tuition Boards at NC.2.1.1.1-112 a, b and c, and at NC.2.1.1.1-113 a and NC.2.1.1.1-113 b.